If so, you can still stick to a healthy diet with a little advance planning. If you’re watching your weight, these are some simple techniques for cutting calories while on the go. 1. Eat well before leaving. It’s always easier to resist fattening foods if you feel full. Enjoy a hearty meal before you set out. If you have an early flight, get up in time to enjoy a home cooked breakfast high in protein. This will help you avoid eating processed airport food. Phone the concierge or the front desk at the hotel where you’ll be staying. Ask for their recommendations for nearby organic farm to table or healthy restaurants. Research the location of the nearest grocery store. You can save money and calories by picking up fresh vegetables nuts and fruits to snack on. 3. Do some investigative work. Go online to find your best options at the airports and destinations you have planned. Airport websites usually list their restaurants. Search local business directories by zip code to find ethnic or vegetarian restaurants, health food stores, and farmers markets. 4. Bring along bottled water. Bottled water is a traveler’s best friend. Staying hydrated helps keep you from feeling hungry. Plus it’s super expensive at the airport so bring your own! 5. Pack your own meals and snacks. Preparing your own meals and snacks will give you more control over your diet. Put together a trail mix of nuts, hard boiled eggs, vegetables or fruits. Fill zip lock bags with cut vegetables or peanut butter & celery. 6. Keep your car stocked with healthy snacks. Many people spend long hours in their cars. Always have water and healthy snacks handy. Stopping at a food mart or quick stop leads to eating processed food full of hydrogenated oils, trans-fats and sugar. Stick to healthy snacks from home, it’ll also save you money! 1. Control your portion sizes. You can enjoy dining out and still eat like a thin person. Make a meal out of a couple of appetizers instead of a full size entree. Cut your entree in half and take the leftovers back to your hotel for breakfast. Slowing down is a simple and effective way to consume fewer calories. You’ll recognize when you’re full instead of overeating. Put your fork down in between bites. 3. Learn to read menus and ask your waiter questions. They are there to serve you. Ask them what kind of oils they use to cook their food. If it’s vegetable or canola ask them to cook your food in butter. Yes butter. Butter is much healthier than the rancid hydrogenated oils many restaurants use. Skip the bread before dinner, trade in the rice or pasta for extra veggies and steer clear of fried food! 4. Avoid high calorie drinks. Soft drinks, shakes, and many cocktails can add on a lot of calories. Drink water with your meals. At the bar, order a small glass of wine or a vodka drink with soda and lime instead of the jack and coke or bourbon and ginger. 5. Ask for slimmed-down dishes. Many restaurants offer lighter dishes for the health conscious. You can also ask for sauces and dressings on the side or substitute another vegetable for the potatoes. It can be challenging to eat right when you’re away from home. Planning ahead will help you avoid being tempted by fast food. A nutritious diet will give you the energy you need to enjoy your travels and return home without any excess baggage. A lot of people think trusts are only for the super-wealthy which is not entirely true. A trust can benefit anyone who wants to manage how they leave their money to their family. The trust can give you control over who gets what and when, how they get it, and why. A trust can benefit anyone who wants to manage how they leave their money to their family. Trusts are like containers you can put things into. You the grantor can place assets like your house, life insurance policies, investments and other possessions into a trust. These assets become property of the trust and are managed by your trustee. You appoint a trustee to ensure your wishes are carried out. As grantor, you decide who receives the assets inside your trust. Typically, your spouse, your children, grandchildren and charities of your choice are the beneficiaries who receive the assets held in trust. When you create a trust you determine how the funds inside your trust will be used and when they will be dispersed. For example, you may want to use assets in your trust to jump-start your children’s careers when they are 25 or supplement their retirement when they turn 60. You may want to pay college tuition expenses for your grandchildren or provide annual scholarships to your Alma Mater. Your appointed trustee ensures everything is managed according to your instructions. It’s important to know there are different kinds of trust for different purposes. Some are designed to manage who receives your assets and others may offer tax planning benefits. Make sure you work with financial experts so that your trust is properly structured to carry out your specific intentions. A trust can offer you and your family many financial advantages. You’ll want to talk with an estate planning attorney find out how you can create a lasting legacy for those you love the most. 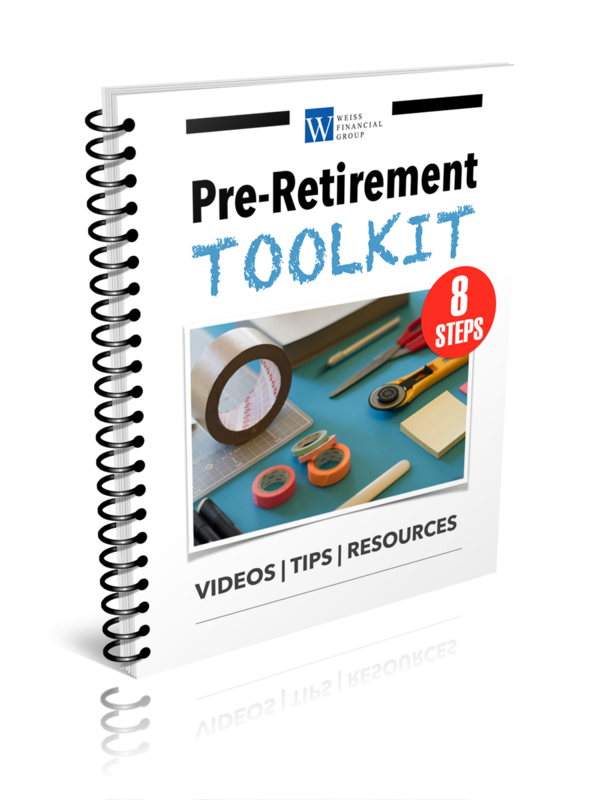 For more financial planning tips, download my free report: “8 Steps to Organize and Optimize Your Financial Life”. Thanks for reading! Many people are not sure if they need a will because they don’t think they actually have an estate or they simply procrastinate in getting the document drafted. If you are wondering whether you have an estate or not, you most likely do. Simply put, if you own anything you have an estate. So, if you have any assets held outside qualified accounts (i.e. savings accounts, a house, cars, etc.) or have people you care about and/or rely on you (i.e. children, a spouse, etc. ), you should have a will. The problem is most adults in America do not have a will. In fact, 58% of American adults don’t have one! So, here’s what you need to do to avoid being part of the 58%. 58% of adults in America do not have a will! A will is a legal document that defines who is going to take care of your children and outlines what to do with your assets when you’re gone. If you die without a will the state will decide who will inherit your assets. Having a will allows you, not the government, to control your assets after your death. What is Involved in Creating a Will? To do it right, I suggest working with a lawyer to make sure your will is structured properly so that it is valid and enforceable. • Name A Guardian: If your children are minors make sure you name a guardian for your kids. • List of Assets Make a list of all your assets and where they are. • Determine Values: Determine the values of your real estate, insurance policies, investments, business ownership, personal possessions and anything else that has economic or sentimental value to you or your family. • Who Will Get Your Stuff? : Decide who will receive these assets and when (Typically your surviving spouse will be your primary beneficiary). 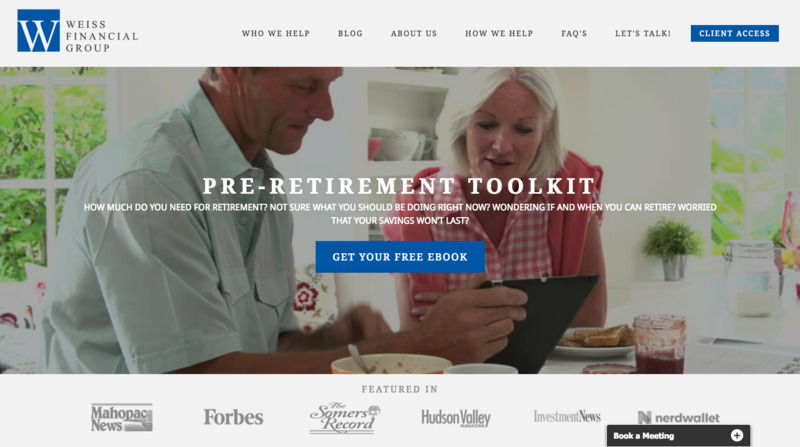 • Provide Instructions: Provide instructions on how and when to distribute assets to your children, grandchildren, and the Charities of your choice. • Executor or trustee: Name an executor or trustee to oversee and carry out your instructions. • Power of Attorney/Medical Directive: Grant the power of attorney to someone you trust to make health care and financial decisions if you are not able to make these decisions yourself. • Update Regularly: Update your will every three years to make sure it fits your present situation and conforms to current state laws. This way you know your family, your loved ones, and your assets are all protected. TIP: Update your will every 3 years to make sure it fits your present situation and conforms to current state laws. When you have people who you care about and who count on you it’s best to prepare for the unexpected. So, if you don’t have a will in place now is the time to get going. If you do have a will but haven’t reviewed it in some time you may need to make updates. Getting all your stuff in order is one of the first steps you’ll need to take in order to prepare your will. The video below shows the online system we use to help our clients get organized. It helps gather the information you need to give your attorney so they can create your will. As a thank you for reading this post, I am offering free access to this great system to help you get started. Simply send me your email request at sweiss@weiss-financial.com and I’ll get you up and running quickly. While you are making plans for that memorial day cook out, schedule some time this month to take care of these important tasks to help keep your financial life on track. It’s a good idea to check your credit score several times throughout the year. You want to make sure you there aren’t any errors which may have caused your credit score to take a hit or you haven’t been the victim of fraud. I recommend using CreditKarma.com to check your credit score for free. You will need to sign up and answer several security questions to get access to your information but in my opinion it’s the best spot to go. TIP: Go to CreditKarma.com to get your credit score for free! Your credit report is different from your credit score. The credit score is a numerical value based on information you can find in your credit report. The report will show you the record of your financial activity that’s available to creditors. You can get a copy of your report for free from AnnualCreditReport.com. Check the report for any errors or unusual activity. If you do find anything inaccurate or suspicious you’ll want to contact the agency that released the report to try and get that cleaned up. Keep in mind that there are 3 credit reporting agencies: Equifax, Experian, and Transunion. Each agency is required to provide 1 free report every year. So, the smart move is to request your free report from one agency this month, then 4 months later request from another agency. If you spread the reporting out throughout the year you’ll will do a much better job of staying on top of any credit issues than if you get them all at once. Tip: Go to AnnualCreditReport.com to get your free credit reports! This is one of the most overlooked financial tasks. Not sure what a beneficiary designation is? The designated beneficiary is the person selected by an owner of a retirement account to inherit the retirement account balance. Oftentimes people select their beneficiary (or ignore it completely) when they open their accounts but never go back to update that information over time. You want to be sure your money will go to the right people should something happen to you. That can change over time due to births, deaths, divorce, etc. So, be sure to check any insurance policies, 401(k)s, IRAs and other retirement plans and make sure the people listed to inherit your assets are in fact the people you still want the to get your money. If you haven’t even selected anyone, now is the time to it. By making the selection your assets will go to the right people, avoid probate and be less of a headache for those you care about when you are not around.